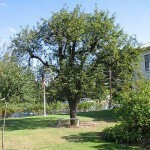 Called a Winter Nelis, or Winter Pear, this tree was planted in 1879 by Jesse Edwards, the Quaker founder of Newberg. 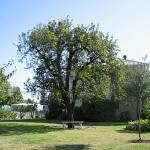 This property was sold in 1884 to Dr. Henry John Minthorn, uncle and foster father of Herbert Hoover. 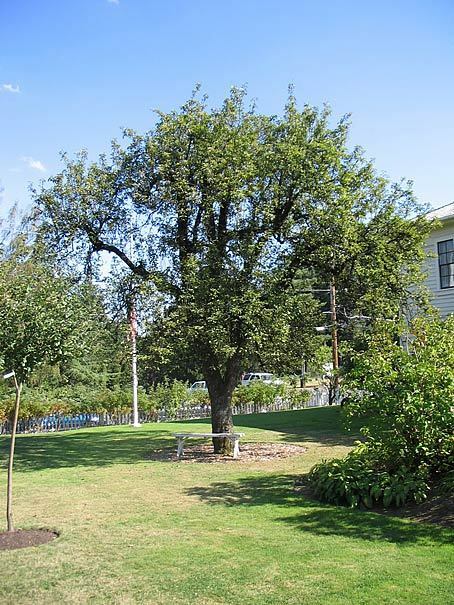 When the 11 year old Hoover arrived here from Iowa in 1885 to live with his uncle John Minthorn and family, he joined in the task of making pear butter and was told that he could eat as many pears as he liked. 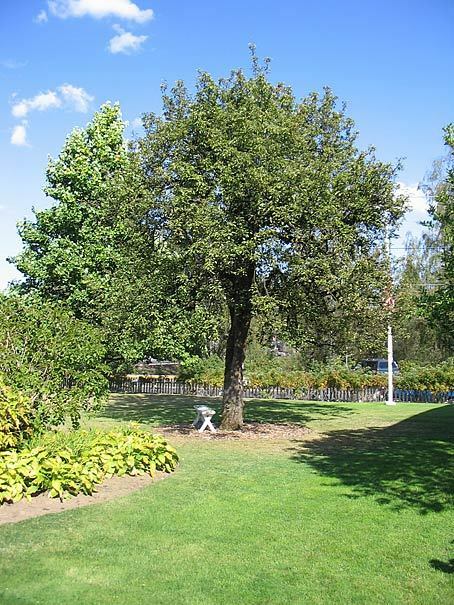 His experience with pears is best expressed by his own words, “I liked them, but after two days of almost exclusive pear diet, I did not eat pears again for years.” Herbert Hoover went on to become the 31st President of the United States. 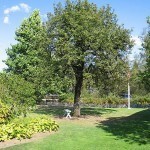 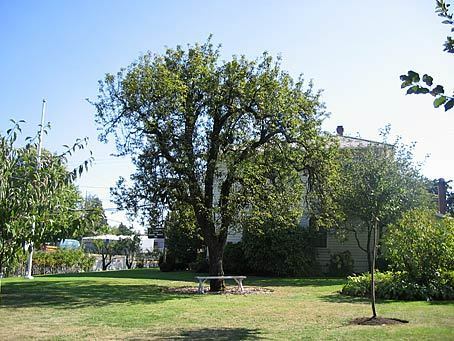 The tree is located on the north side of the Hoover-Minthorn House Museum grounds, at 115 S. River Street in Newberg.